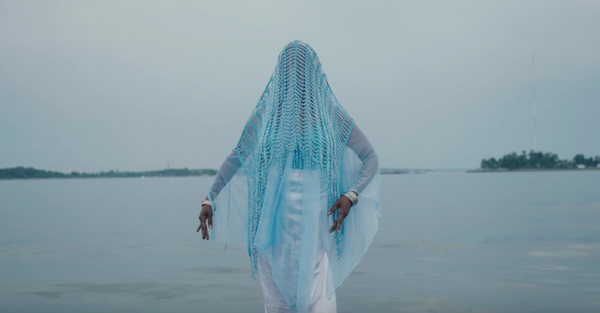 Princess Nokia just dropped a stunningly beautiful new video for “Brujas”, off her latest album 1992. With echoes of the colourful composition, embodied poise, and fluid choreography of Solange’s “Cranes in the Sky”, Afro-Taino/Arawak artist Princess Nokia‘s “Brujas” is not just a fiery rap anthem of supreme spirituality, it is a fiercely beautiful celebration of self-love, sisterhood, and powerful femininity. Co-directed and based on a concept by Princess Nokia, “Brujas” is another elevation in Destiny Frasqueri’s already compellingly unique career.